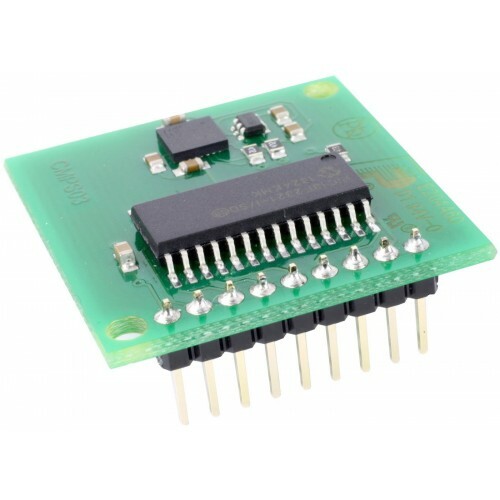 This compass module has been specifically designed for use in robots as an aid to navigation. The aim was to produce a unique number to represent the direction the robot is facing. At speeds above around 160KHz the CPU cannot respond fast enough to read the I2C data. Therefore a small delay of 50uS should be inserted either side of writing the register address. No delays are required anywhere else in the sequence. By doing this, I have tested the compass module up to 1.3MHz SCL clock speed. Do not attempt this until you have your compass working! 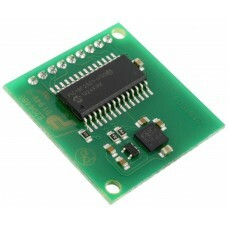 Especially if your using the I2C interface - get that fully working first. Calibration only needs to be done once - the calibration data is stored in EEPROM on the PIC18F2321 chip. You do not need to re-calibrate every time the module is powered up. The following diagram shows the CMPS03 PCB mounting hole positions.